What does ignoring customers’ preferences and habits mean? Would it mean not to listen to them during negotiations or not to understand useful feedback for buyers in the company? Whatever the meaning you want this activity to have, be aware that profound knowledge of customers during the selling activity remarkably facilitates the post-sale activity, which will bring customers back to the store or e-commerce, that is brand integration into customers’ life. Without listening there is no integration, without integration there is no service, without service there is no customer retention. 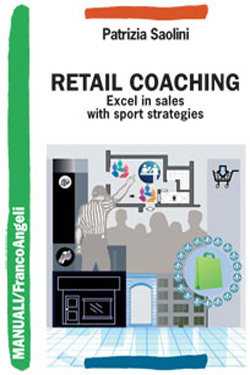 By means of the synergy of the key potentials of Retail Coaching and of a consistent and realistic action plan, you may achieve excellent group performance, targeted to the development of talents operating in retail, aimed at improving profitability in stores. Here is a detailed list of some key potentials. VIRTUES of COURAGE: being brave in dealing with hurdles, with accountability. VIRTUES of WISDOM: assessing opportunities in a balanced way to select them reasonably and with expertise. VIRTUES of JUSTICE: constant will, translated into actions, to give everybody what they rightly deserve. I can ensure that what makes the difference in corporate profitability is exactly the synergy of the retail team in redesigning the responsibilities of each individual. Training personal potentials of individuals not only improves the performance of retail corporate areas, but also fosters achievement of stores’ sales targets, even on-line.